Oh, how I love this time of year. End of year lists are always fun to compile, looking all the way back to the beginning of the year in film, TV, and music. It's also a great way to discover things you may have missed throughout the year. 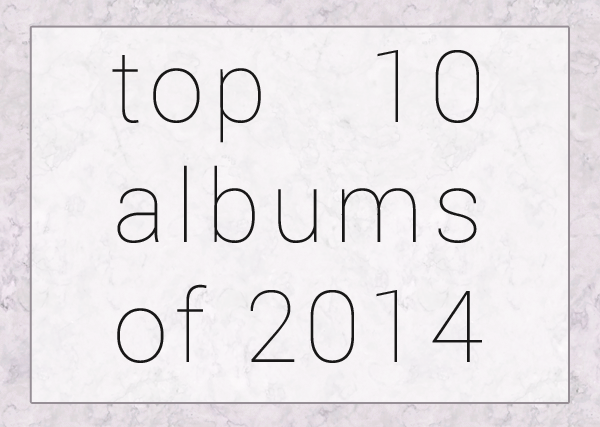 I'm kicking my end of year lists off with my favourite albums of 2014. It's really been an incredible year for music, particularly for women in music. I often find that men dominate most 'best of' lists, however this year over half my list are female, and I'd wager I won't be the only one with a similar ratio. 2014 was the year that I think I 'got' Taylor Swift. While there were only a handful of songs on Red that I liked, it wasn't until 1989 that I realised how great this girl is. There's something so relatable about her lyrics on this album, and overall it's a really great reminder of how great pop music can be. The award for 'album most likely to make me cry' would definitely go to Benji. Virtually every song tells a story of a person meeting their death, untimely or otherwise. The opener, "Carissa", sets the tone for the album: Mark Kozelek sings about his second cousin Carissa who became pregnant at 15, makes a life for herself a nurse, then 20 years later dies in a fire after an aerosol can explodes in the trash. Despite the subject matter, this is one of the most beautiful and haunting albums I have ever listened to, and is definitely worth checking out. Annie Clark has been one of my favourite singers for quite a few years now, having been fortunate enough to see her perform live in Melbourne when she was touring for Strange Mercy. However, St. Vincent is far and away her most interesting and ambitious record yet. This sounds like the music of the future: crazy synths with a truly intergalactic feel, aided in part by the gorgeous aesthetic seen through her music videos. Grouper falls within the ambient/dream pop genre, so I'll preface this by saying that this record is absolutely perfect for rainy days, relaxing in the bath, or being played just before going to sleep. Liz Harris has created a gorgeous, melancholic album complemented nearly solely by the piano and her voice. Her wispy vocals are often indecipherable, which often makes it seem as though her voice is more an instrument rather than a way of telling a story. SZA was a great discovery this year, with her debut album Z on high rotation. Her voice is absolutely exquisite, it really lulls you into a comfortable state of being. Established artists Chance the Rapper and Kendrick Lamar show up here, who are surprisingly used in a subdued (yet effective) manner, their distinctive styles blending into the background of SZA's gorgeous vocals. Run The Jewels 2 has to be the loudest and abrasive album of 2014 - if easily offended, please switch off now. The album takes down conservative and liberal politicians, religious figures, police, and misogynistic bros, all with exquisite ease and poignance. Just one example of this is through "Early," an incredibly powerful (and relevant) track about discrimination, police corruption brutality in America. Let the album speak for itself, it will do so better than I ever could. alt-J's debut An Awesome Wave was one of my favourite records of 2012, so I was very pleased that This Is All Yours lived up to the hype on my part. While they have kept some of the elements that made their debut so successful, this album has expanded on them for the better, allowing them to be a little more creative. The opening three tracks of the album ("Intro", "Arrival In Nara", "Nara") paint a beautiful picture - for those who have visited the quiet, deer-filled city of Nara, Japan, this lead in will surely resonate with you. Overall, the album is not overtly adventurous, but it sure is gorgeous. FKA twigs has to be one of the most innovative, creative women working in the music industry today. Starting out as a backup dancer in music videos (outlined in the track "Video Girl"), she began producing her own music in 2012 before releasing her debut album LP1 this year. It's a beautiful, sensual record, her voice raw and assisted by digital effects and sharp synths. 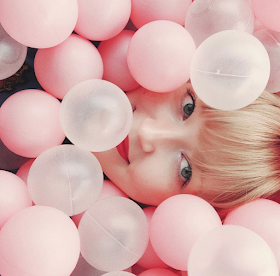 Her distinctive music videos are an imperative companion to her music - definitely check them out. I can't believe 2014 was the year Azealia Banks released her long-anticipated debut. It's a tough gig, being an Azealia Banks fan, what with her numerous Twitter arguments and general bad attitude - suffice it to say she is my number one problematic fave. Nevertheless, she has released an absolutely phenomenal album, just in time to make most end of year lists. It's incredible to see the variety of genres she covers in such a short time, many of which are destined to be club bangers for years to come (like the now-famous "212"). She switches flawlessly from rap, jazz, and even screaming into a megaphone, and definitely makes Broke With Expensive Taste one of the most unique releases of the year. Dan Snaith just keeps getting better with age. Similarly to Swim, Our Love is an excellent electronic and house album, yet it much more refined and personal. As the title suggests, it's an exploration of love in all its facets: obsession, jealousy, passion, and loneliness. While it tends to touch on the extreme of each of these, it does paint an honest picture of a complicated relationship built up over a number of years. This is probably my most listened to album of 2014, and it has definitely cemented itself in my all-time favourite albums.